It's official. You won't be playing StarCraft II: Wings of Liberty this year, as Blizzard has moved the release date of the real-time strategy game to the "first half of 2010." No, they never dated it; but they have now. Activision Blizzard's reason for the delay of StarCraft II is reportedly tied to the relaunch of its upgraded Battle.net service, which handles multiplayer for all things Blizzard. In a statement to the Blizzard community, the developer writes "Over the past couple of weeks, it has become clear that it will take longer than expected to prepare the new Battle.net for the launch of the game." Blizzard calls the new Battle.net an "integral part of the StarCraft II experience and will be an essential part of all of our games moving forward." Activision CEO Bobby Kotick said during an investor call today that the new iteration of Battle.net will likely be ready "early next year." While disappointing, it's not surprising. Blizzard staffers have indicated a need for a four to six month beta period for StarCraft II, one that has yet to kick off, eight months into 2009. Blizzard had previously planned for one "frontline" release this year, largely presumed to be the first entry in the StarCraft II trilogy, a goal that it doesn't appear it will be meeting. Your best bet for going hands-on with StarCraft II in 2009 is either a trip to BlizzCon or (possibly) during Gamescom in Cologne. 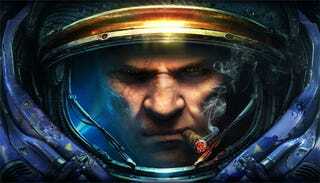 Watch for new details on StarCraft II: Wings of Liberty in the coming weeks at Kotaku.